This specialist acne formulation was created or use in conjunction with our acne cleanser to actively reduce acne and congestion. Containing proven acne-fighting ingredients including topical antibiotic, vitamin E, hydrocortisone and vitamin A, the complex was developed for mature aged patients who struggle with both congestion and breakouts - alongside the dry skin and fine lines that come with acne. Many patients found they could not use standard anti-ageing products as it would cause breakouts, causing them to use acne treatments that dried out and prematurely aged the skin. The resulting formulation is a powerful anti-acne treatment for both teen and mature aged skin, with concentrations that can be adjusted for each patient to suit their skin needs, and degree of acne. 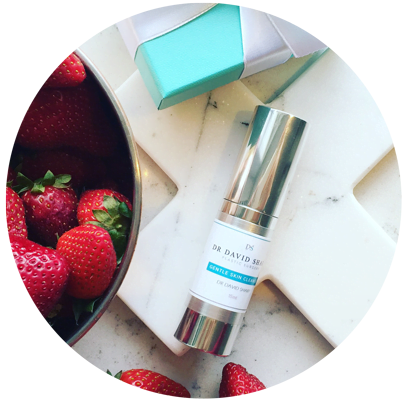 Most importantly, the active ingredients in this formulation are delivered at optimal concentration levels, which is why patients require a consultation prior to commencing treatment on the cream - as it is a medical formulation. It is important to follow the directions closely and to adhere to the products’ cautions to achieve the best results. Formulated by Dr Sharp and dermal clinician Deborah Seib-Daniell, this special range of skin care products is born from a combined 35 year’s experience in skin healing, optimisation and prevention. Priced from $19 to $95. Would you like to know more about a specific product?